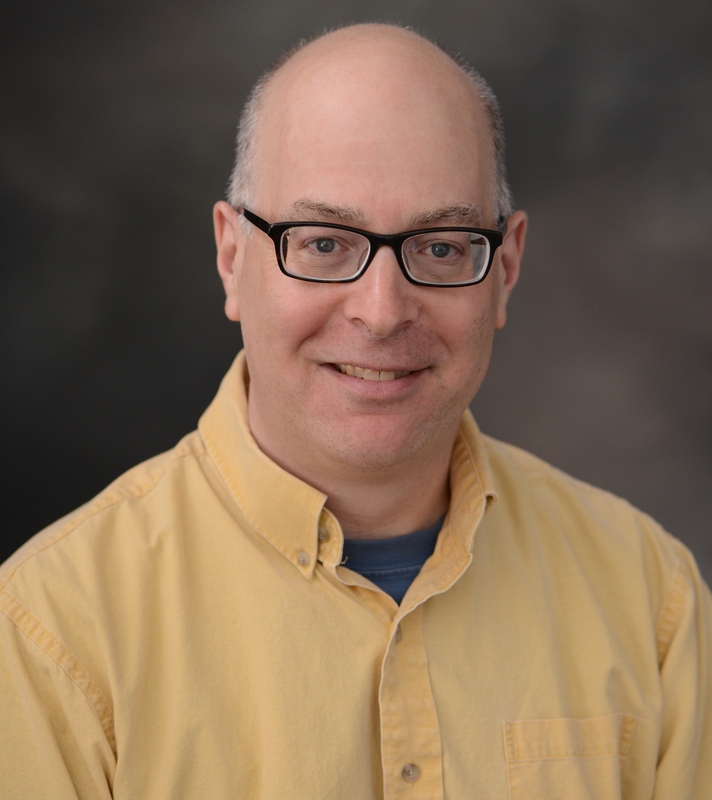 Eric Poisson is a professor of physics at the University of Guelph. 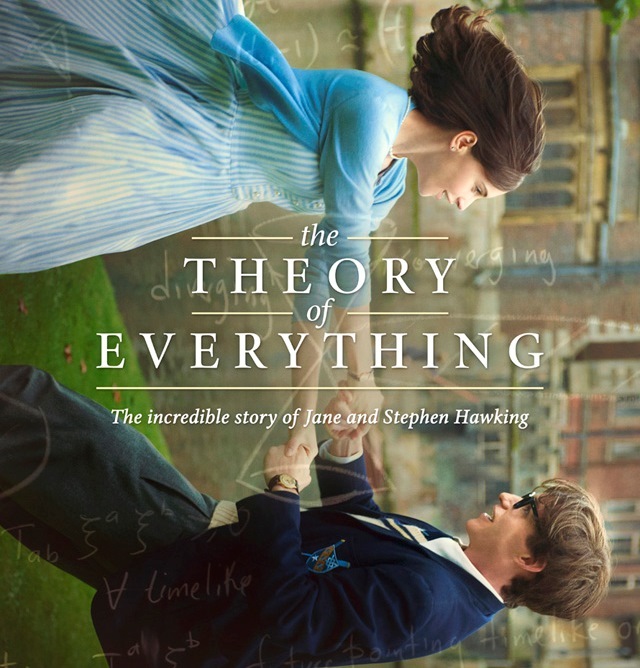 The Theory of Everything directed by James Marsh, starring Eddie Redmayne and Felicity Jones. We physicists can count ourselves lucky these days. We enjoy an unprecedented presence in popular culture, having central characters in today’s most popular sitcom (The Big Bang Theory) and two recent high-profile movies, Interstellar (previously reviewed for CQG+ by Richard Price) and the subject of this review, The Theory of Everything. Science has become cool. Let’s enjoy this while it lasts! The Theory of Everything relates the life of today’s most famous physicist, Stephen Hawking. The movie focuses mostly on Stephen’s relationship with his first wife, Jane Wilde Hawking, whose book “Travelling to Infinity” provided the basis for the screenplay. Naturally, Stephen’s disease, a rare variant of amyotrophic lateral sclerosis (ALS), is another central character. The plot points will be familiar to most relativists (SPOILER ALERT!). Stephen meets Jane during his dissipated days as a graduate student at the University of Cambridge. Soon after, he is diagnosed with ALS and the couple decides to marry. After the initial depression, Stephen gets serious with his studies, is inspired by Roger Penrose to work on the singularity theorems, and earns his doctorate degree. Apart from a brief description of the discovery of Hawking radiation (more on this below) and the publication of “A Brief History of Time“, the rest of the movie keeps Stephen’s professional life in the deep background. Its attention is placed squarely on the marriage, as the pressures associated with Stephen’s worsening condition mount. The movie offers a breathtaking performance from Eddie Redmayne, who personifies Stephen through all the stages of his degenerative disease. (The actor was previously cast in the role of Marius in the 2012 movie version of Hugo’s Les Misérables.) Late in the movie Redmayne relies entirely on his eyes to do the acting; all the emotions come across, and the performance is deeply affecting. Felicity Jones, the actress playing Jane, is also very strong. (She was previously seen in Like Crazy, a bitter-sweet romantic comedy.) And it is a pleasure to watch David Thewlis (Professor Lupin in the Harry Potter movies) take on the role of Dennis Sciama. While the movie does well with its depiction of Stephen’s personal life, I am disappointed with its failure to present him as an active scientist. I can understand that a mass audience will be much more interested in the personal details, but given that the main character is the most famous scientist of our times, I expected to see more of the scientist. I wanted to see Stephen struggle with equations, discuss with colleagues, mentor graduate students. There is almost none of this in the movie: Stephen never does any work, and seems to arrive at his pronouncements through divine illumination. This incomplete portrayal can strongly mislead the audience; science is not done this way, even by a genius. A couple of scenes provide a vivid illustration of this point. In the first scene, Stephen is in bed and stares at a wood fire. Something occurs to him, and we see him having an epiphany. In the next scene, he delivers a lecture in which he announces that black holes are not black at all, but evaporate thanks to the creation of quantum particles. Most of the audience listens in disgust, but one member (Russian physicist I M Khalatnikov) is jubilant, declaring that “the little one has done it!”. This is laughable. Instead of months of hard thinking and detailed calculations, one gets instant revelation. And instead of skepticism followed by confirmations from other relativists, one gets the word of the prophet instantly understood by the enlightened few. This is not good enough. Every sport movie out there revels in the athlete’s intense efforts to achieve success, the pain and sacrifices that are required to get there. Why won’t the scientist’s struggle be shown in a few scattered scenes in a mainstream movie? In spite of this disappointment, I still recommend the movie. I may not have learned any science from it, I may not even have learned much new about Stephen’s life, but I was moved by Eddie Redmayne’s superb performance. Sign up for our newsletter by entering your email address in the ‘follow’ box at the foot of this page. Followers of CQG+ enjoy regular updates from the site at a schedule of their choosing. This entry was posted in News and tagged movie review by Adam Day. Bookmark the permalink.